I just love the easy Hong Kong immigration questions – gives me a break from thinking too hard! I’m Australian and I have an approved Working Holiday Visa, but am wondering if I can work full-time (albeit for a max of 3 months per employer), or whether only part-time hours are allowed? Also I have received an approval for the visa from the Immigration Department and have to leave Hong Kong for it to be validated…can I just leave for a day? Is the purpose just for my passport to be stamped at Immigration on re-entry to Hong Kong Airport? The working holiday visa for Hong Kong is really quite a useful animal for relatively young people that want to spend some time in Hong Kong on an extended basis. Primarily to experience Hong Kong on a holiday and supplementing the costs of spending that time in Hong Kong through taking up employment with no more than four individual employers with a maximum time per employer of three months during that 12-month limit of stay as a working holiday visa holder and the ability to work as many hours as you wish to work either on a full-time or a part-time basis for each of those maximum number for employers. So yeah you’re not limited to the number of hours you can work effectively the hours that you wish. And as regards you presently being in Hong Kong as a visitor, after your working holiday a visa approval has been notified to you, yes you indeed collect the visa label from Immigration Department. And you need to exit – Macao or China is fine, or you can get an airplane if you wish, relinquishing your visitor visa status as you exit. 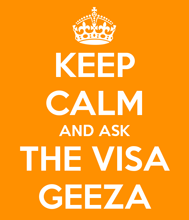 And as you arrived in Macao or China or elsewhere place the working holiday visa label on a clean page in your passport and then turn around and come back into Hong Kong, activating your working holiday visa as you re-enter and at that point you’ll have a 12-month limit of stay under that immigration status from the date of you re-entering and activating your label. So yes, you don’t have to spend in a number of days or indeed any time of note outside of Hong Kong that you simply need to make the exit to relinquish your current visitor visa status. And then make the reentry activating your working holiday visa upon your return. Okay, easy question, appreciate you asking it. I hope you find it useful. Can you undertake freelance work or start your own business on a Hong Kong working holiday visa? I want to live in Hong Kong with my boyfriend – is the working holiday visa option a good idea?